We know what you want. Waterproof, breathable, lightweight but durable rainwear styles. Welcome to our hi-viz rainwear section. 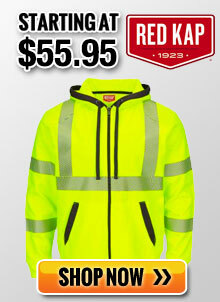 You’ll find those features and more in our hi-viz rain jackets, pants, bib overalls, long raincoats and flame resistant rainwear styles too. Stay bright, safe and dry!